The St. Patrick's Day decorating kit has everything you need to decorate your tables including centerpieces and shamrock accents. There are shamrocks galore inside of the St. Patrick's Day decorating kit from The Irish Gift House. 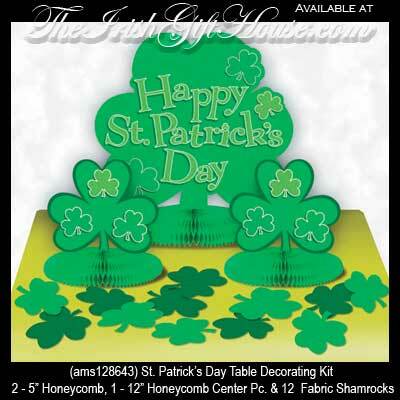 Put a shamrock honeycomb centerpiece or a fabric shamrock accent on every table and let the party begin.